Our Canada Day Poetry Party (July 1st, 2015) was better, bigger, longer and more fantastic than we could possibly have hoped or predicted. It was so good, it’s taken me three weeks to attempt to write about it, because it seems impossible to do it credit. 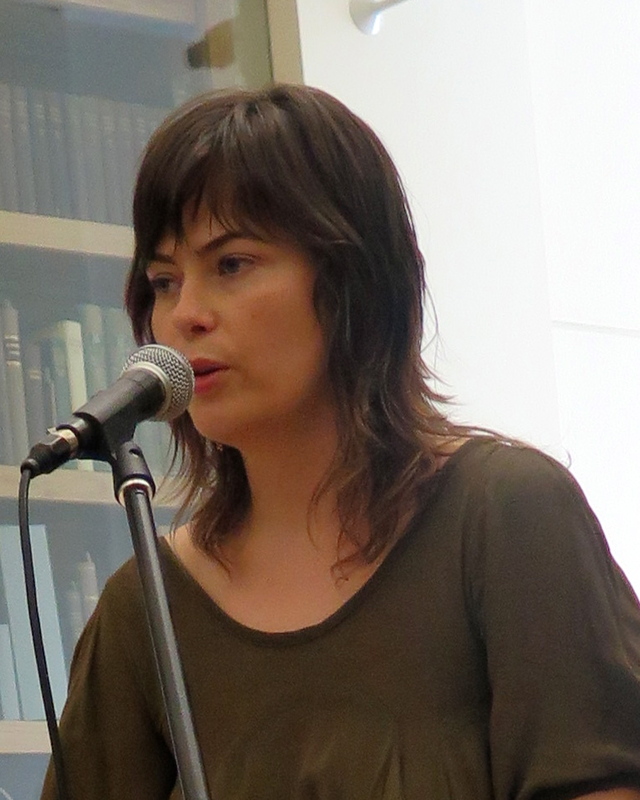 What made it so brilliant was the people – the poets, and the audience – and their enthusiasm and openness. 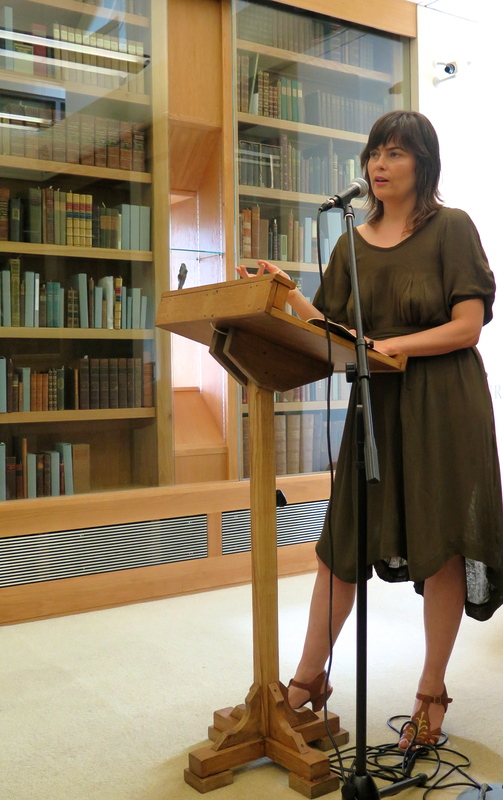 The quality of the poetry and the quality of the conversation throughout the day – formal and informal – was magnificent, and left everyone wanting more. It was a good measure of how stimulating, and enjoyable, the day was that no one wanted it to end, and the last stragglers finally called it quits in the wee small hours of the next morning. Mark Ward entertaining the evening crowd at the open air open non-mic. It helped that the shortlived heatwave hit the North West just as the first two visiting poets arrived at Manchester airport, and provided us with a suitably atmospheric thunderstorm to close the night, masking the full moon which had lit up the vale the night before. Will and I are so grateful to everyone involved who made it such a fantastic day. 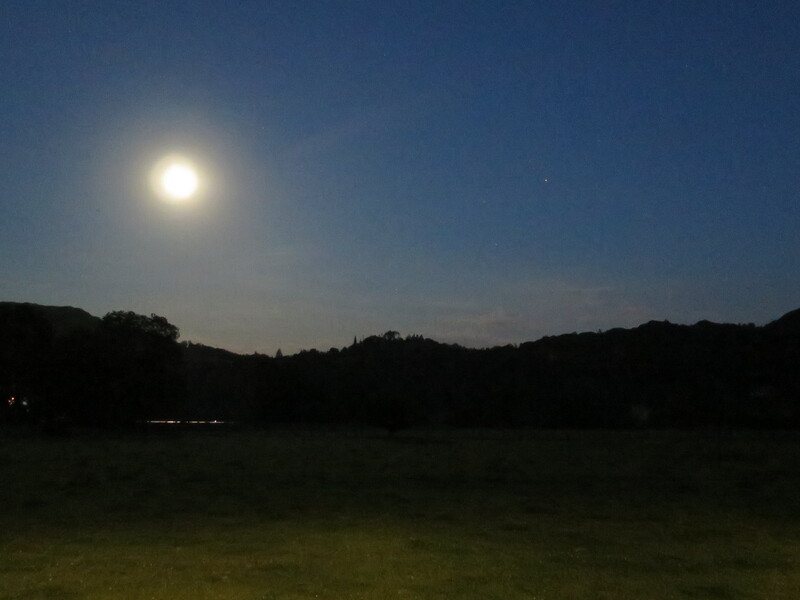 The full moon lights the vale at midnight on the 30th. 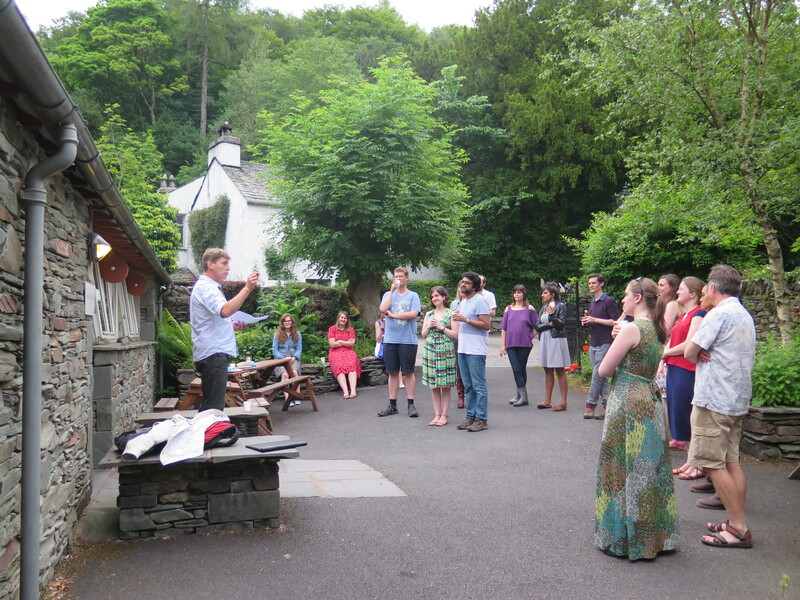 In lieu of a report, here are some photos from the day, and a tidied-up version of the opening speech, which starts to explain why we wanted to make this happen in the first place, and why it was important to us that it should be in Grasmere. 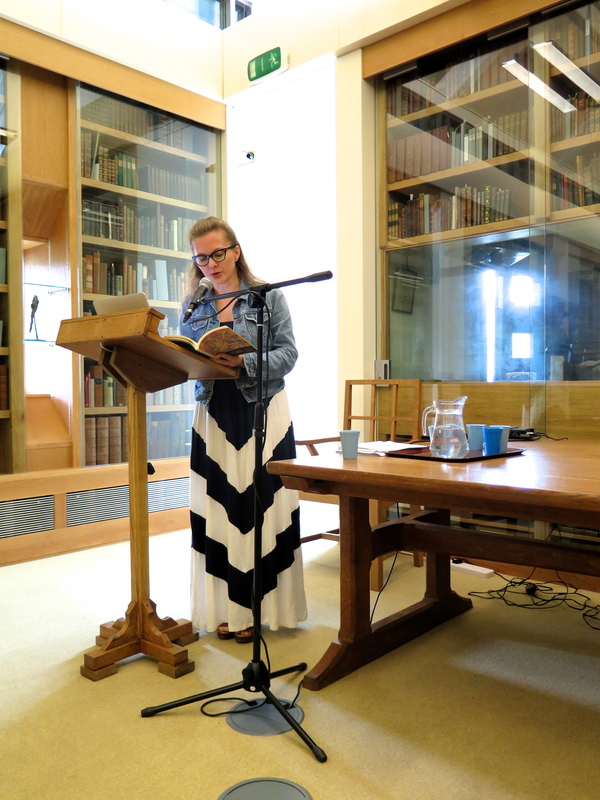 This followed on from a series of readings we had arranged, bringing Emily St. John Mandel, Alissa York, and Helen Humphreys to Lancaster University, The Storey, and Grasmere. 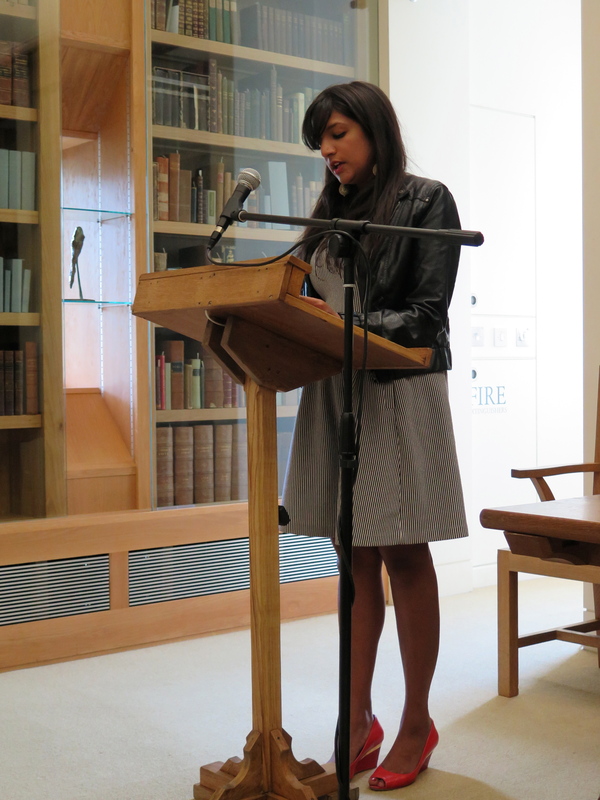 The first reading of our poetry day was from Wanda O’Connor and Megan Fernandes. Although quite different in style, I was blown away by both Megan and Wanda’s work and delivery. 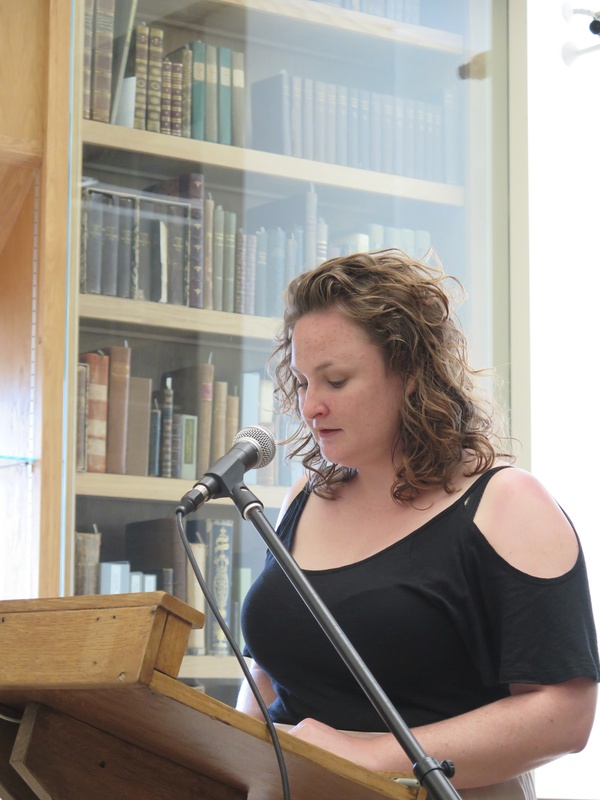 Wanda O’Connor reading from her pamphlet ‘damascene road passaggio’ (Ottowa: above/ground press, 2013) and from new work. 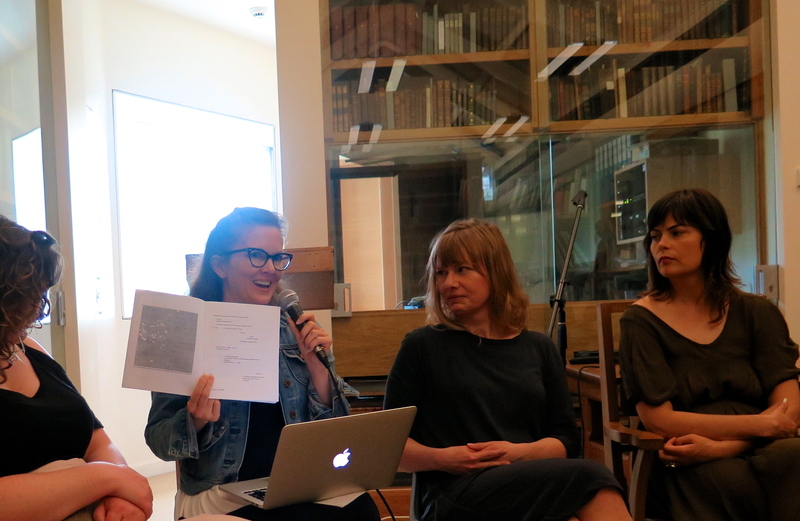 After lunch, we heard from Eileen Pun, Emily Hasler, Penny Boxall and Kim Moore, before the discussion panel brought all our readers together. 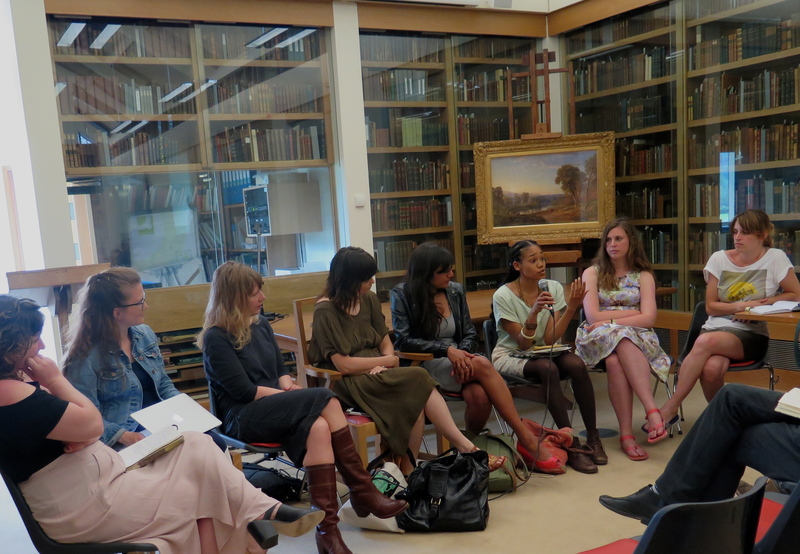 The panel threw up many questions about place and displacement in poetry. Wanda discussing the literal place of the poem on the page. 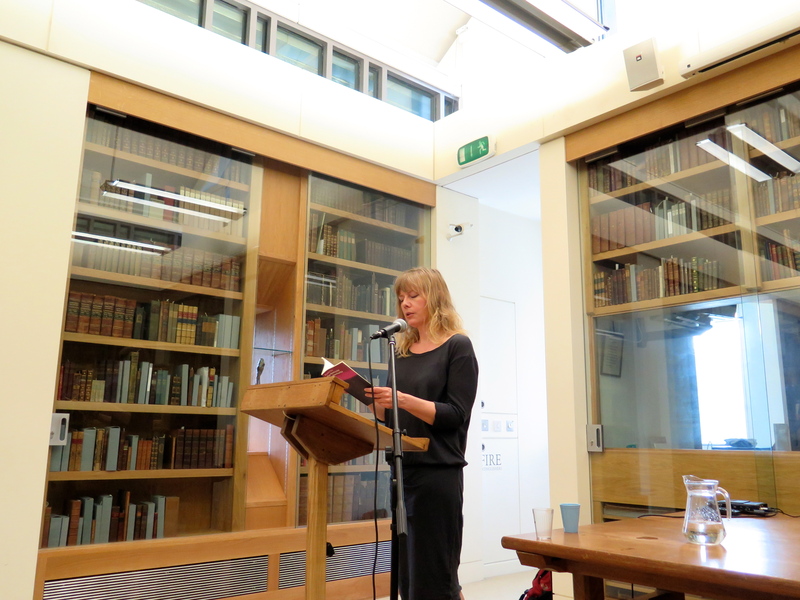 The last formal reading of the day paired up Damian Rogers and Karen Solie for an extraordinary finale. Will unfortunately had to sneak away towards the end of this session to do an interview with BBC Radio Cumbria about the day’s events. A million thanks again to everyone who was part of the day, in whatever way. It was all of you who made it not only a successful event, but a magical one. If you have any comments, please do get in touch – we’d love to add your thoughts to this page as a record of the day. Here’s one version of a story. In 2007 I moved to Grasmere as part of my field research for my doctoral thesis, much of which was focused on how later writers respond to the Wordsworths’ places and writings. About a month after I moved into my attic in Grasmere, I went to a conference on Literary Geographies at Nottingham University. It was my first academic conference, and set high standards for those that would follow. One of the people I met at that conference was Will Smith, who was at that time doing an MRes on Atlantic Canadian fiction at Nottingham University. Will is a fervent advocate for Canadian literature and culture, of which I knew very very little at that time (having happily read novels and poetry by Margaret Atwood, Michael Ondaatje and Anne Michaels without any awareness of them as ‘Canadian Literature’ or even realising the authors were Canadian). Over the years that followed, Will came to learn a lot more about Wordsworth, Wordsworthians and the Lake District than he ever could have imagined he would, and I discovered to my surprise that most of my favourite poets and musicians were Canadian. as much abstracted from all which concerned the world outside […] as though I had lived with the darlings of my heart in the centre of Canadian forests, and all men else in the centre of Hindostan. Whilst planting the idea of a vast geographical distance between Grasmere and elsewhere, this image at the same time links Grasmere with Canadian forests. In typical De Quincey fashion it also calls up the imagined East in opposition. It is on the same system of opposition that the ‘science of happiness’ he describes relies, in which again he calls up the northern prospects of a Canadian winter, ‘where every man is but a co-proprietor with the north wind in the fee-simple of his own ears.’ De Quincey’s sense of homeliness in Grasmere relies on wintery weather which removes interruptions from outside, but also on products from outside: the all important tea and opium. Our influences from the outside in our Grasmere retreat are not so very different, and like De Quincey’s, many of them come to us through reading. As our book-collections merged, we found there were a lot of references to the Wordsworths in Canadian literature (from early Toronto novels in which the hiking protagonists talk to each other in Wordsworth quotes, to Sina Queyras’ ‘Lines Written Many Miles from Grasmere’, one of the best examples of a found poem drawn from Dorothy Wordworth’s journals I’ve come across). We also found that a lot of Canadian writers had visited Grasmere, from the very earliest days of Wordsworthian tourism. This gives our Canada Day Poetry Party an impressive lineage, and we hope by the end of it everyone involved will be as excited about these connections as we are. 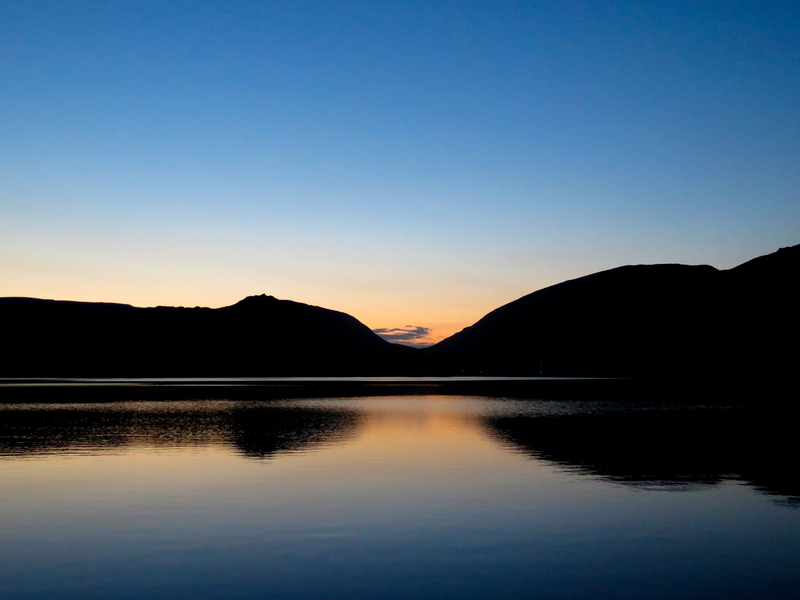 We also hope that in actively encouraging Canadian writers to visit Grasmere we are not in some way tampering with the fabric of the universe, or of poetry. 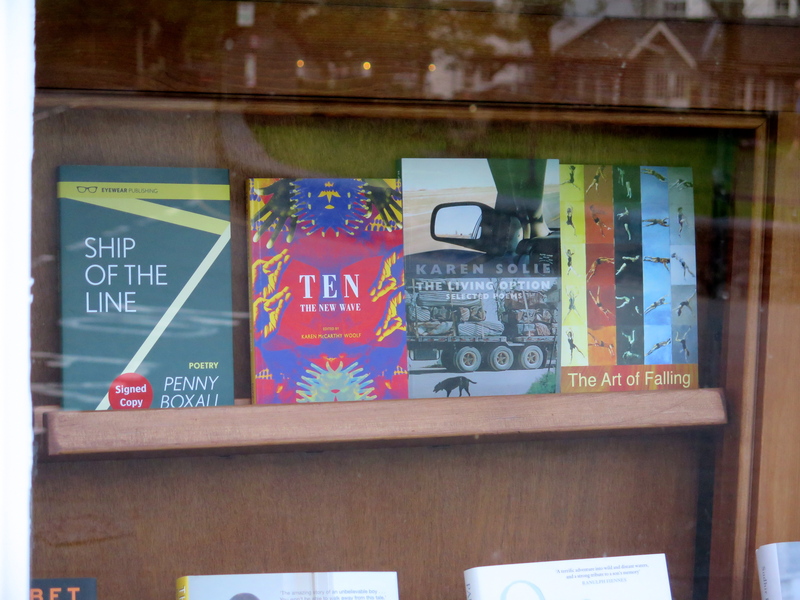 Some of our readers’ books in the window of Sam Read’s Bookshop, Grasmere. 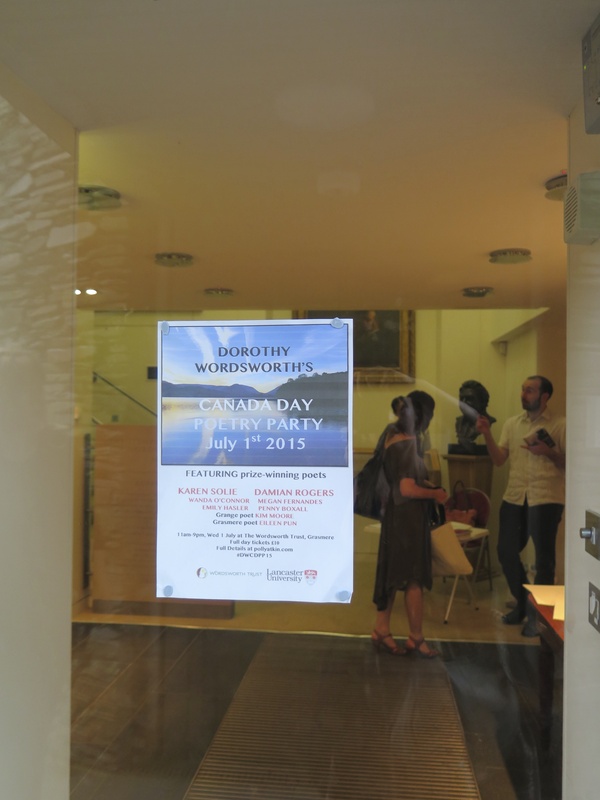 When we got funding last summer to encourage links between writers and literary communities in Toronto and in the North West it seemed too apt not to hold an event in Grasmere. The Wordsworth Trust very generously agreed to host our day of poetry and discussions, and we’d like to thank them again for having us, and to Lancaster University’s Faculty of Arts and Social Science Enterprise Scheme for funding our project, and enabling us to bring everyone together today. As many of you will know, The Wordsworth Trust has recently lost its Arts Council England National Portfolio Status, which enabled the funding of the excellent poetry reading series that had been running throughout the summer months since the mid 1990s, as well as the residency scheme that allowed poets to live in Grasmere and walk in Wordsworth’s poetic footsteps. 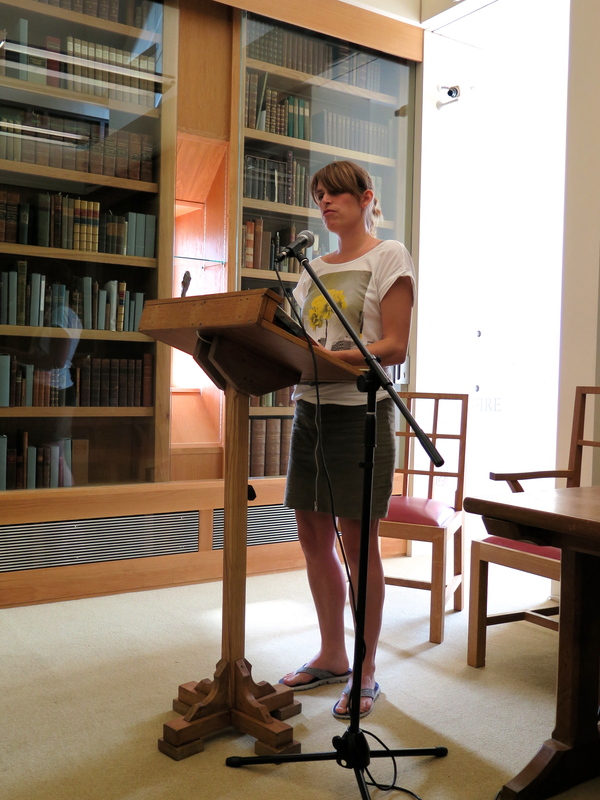 The Wordsworth Trust Contemporary Literature Programme has been invaluable to my own development as a poet and a poetry lover, as it has to many others. Its loss not only leaves us poor creatures in Cumbria without an ACE National Portfolio Organisation for Literature anywhere closer than Manchester, but also without a reading series and residency scheme that has been fundamental to so many of our creative and social lives. 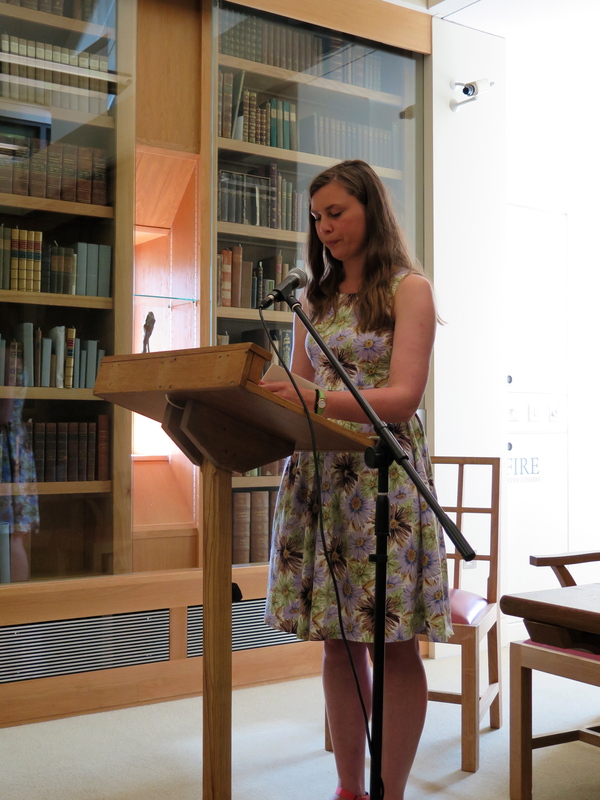 Our second reading brings together four younger women poets who have been encouraged by the Wordsworth Trust at important moments in their poetic development, not through the formal remit of the residency scheme, but through the wider impact of the contemporary literature programme. Penny Boxall, Emily Hasler and Eileen Pun were all volunteers or interns at the Wordsworth Trust, and Kim Moore has done work with school groups and young poets at the trust over the years. They have all gone on to publish prize-winning poetry. They are not alone, either. 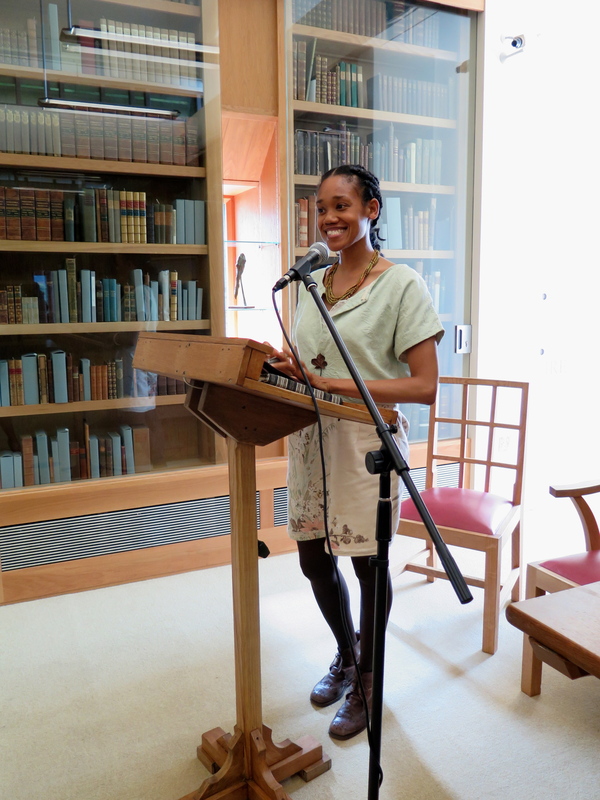 As I’ve argued elsewhere, the Wordsworth Trust has been an essential hub for Contemporary Poetry in the North, bringing together excellent international poets and local writers, doubtless helping to diversify British poetry as a whole. 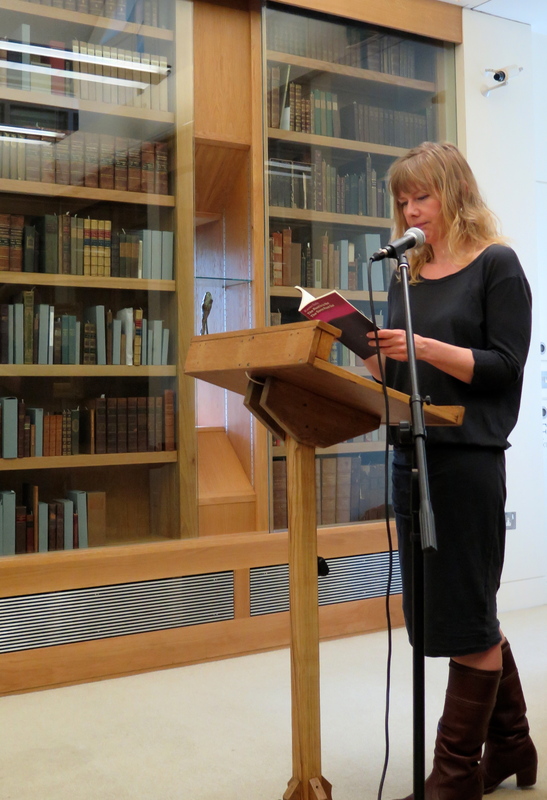 Countless of us have benefitted from the extraordinary access to contemporary poetry the trust has enabled over the last two decades. The loss of the contemporary literature programme at the Wordsworth Trust is a loss to all of British poetry. We hope this is a very temporary hiatus. We also hope this day will fill a tiny bit of the gap left by that loss, or at least bring together those who care about poetry to enjoy it in this special place for one happy day. Follow the tabs at the top of the page for more information on the poets and the programme. 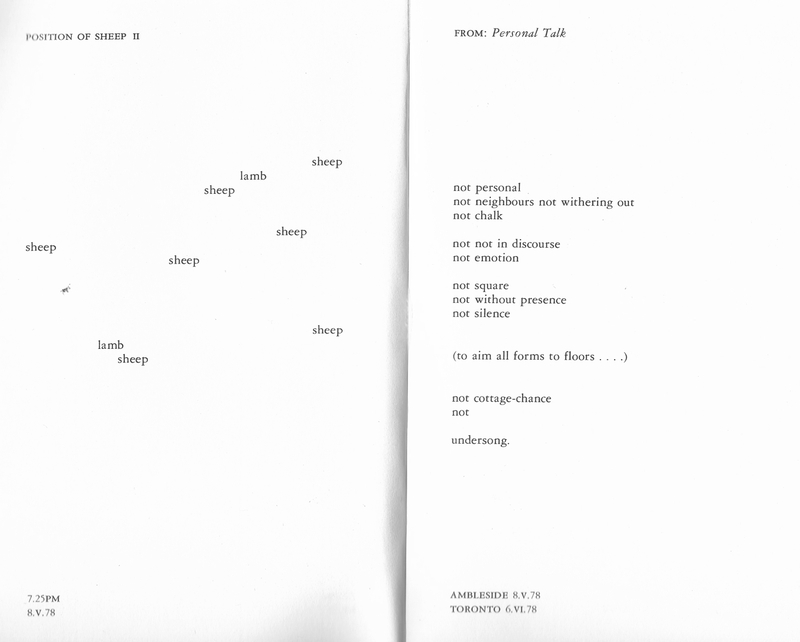 Steve McCaffrey and B.P.Nichol from ‘In England Now That Spring’ (Toronto: Aya Press, 1979).